Here at The Records Company, our commitment to delivering records quickly and reliably never wavers. One of the most common reasons for a delay in our process involves obtaining the release forms we need to retrieve records on behalf of our clients. Our easy-to-use online portal allows clients to attach digital copies of release forms to their request, which makes the process faster. We also accept hard copies of release forms by mail. 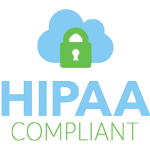 Most HIPAA and medical record release forms also include subsections allowing a patient to indicate which parts of the medical record may be released. The breakdown of these individual permissions vary from state to state, but in general, a patient must specifically allow the release of highly sensitive information beyond standard care records. Highly sensitive information includes details about psychological treatment, substance abuse treatment, and HIV status, among others. It’s important to pay close attention to the subsections of each form, especially if the form comes from another state, so you can be sure your client authorizes every part of the record you need. It’s frustrating to lose time on a case because the right box wasn’t ticked on a form. A statement allowing the patient to revoke an authorization to access medical records in writing with instructions for exercising that right, including contact information for the authority to contact to revoke the right of access. 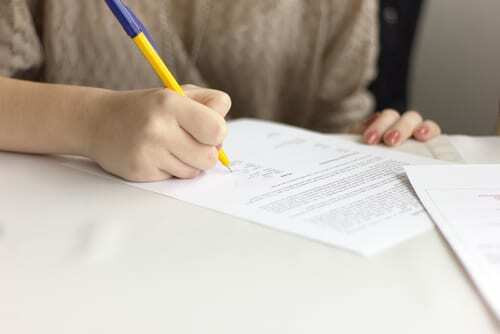 A statement that confirms the patient’s treatment, payment, enrollment in a health plan, or eligibility for benefits are not dependent upon signing the release form. If there are conditions associated with signing the release form, those conditions must be clearly outlined for the patient. A statement about the possibility of personal health information (PHI) being re-disclosed by the recipient of the records and no longer subject to HIPAA privacy protection. These statements are easy to overlook, especially if a case requires multiple releases for multiple records, but they must be submitted with the HIPAA release form to authorize the release of records. The Social Security Administration has its own release form for information, which also includes a series of checkboxes for different information. The options range from the verification of a Social Security number, to medical records related to Social Security benefits, to records of benefits paid to an individual. Likewise, the Veteran’s Administration (VA), requires a specific authorization form to release records. This form covers much of the same territory as a HIPAA release form, but a HIPAA release form is not a substitute for the VA form for retrieving VA records. Some healthcare providers have their own release forms in addition to the HIPAA release and accompanying statements. Some non-healthcare records also require release forms, sometimes mandated by law, sometimes mandated by the records provider. For example, most educational institutions and many employers require written authorization for release of records to third parties. If you don’t know which release form you’ll need, the Records Company’s client specialists stand ready to offer their expertise and supply you with the information you need to get the right release forms to the right records providers. For added convenience, you can obtain a generic release form through our online portal. Contact us to find out more about how we help streamline the authorization process for you.